Healthcare is one of the industries that require most updated and reliable solutions to carry out their day-to-day operations. 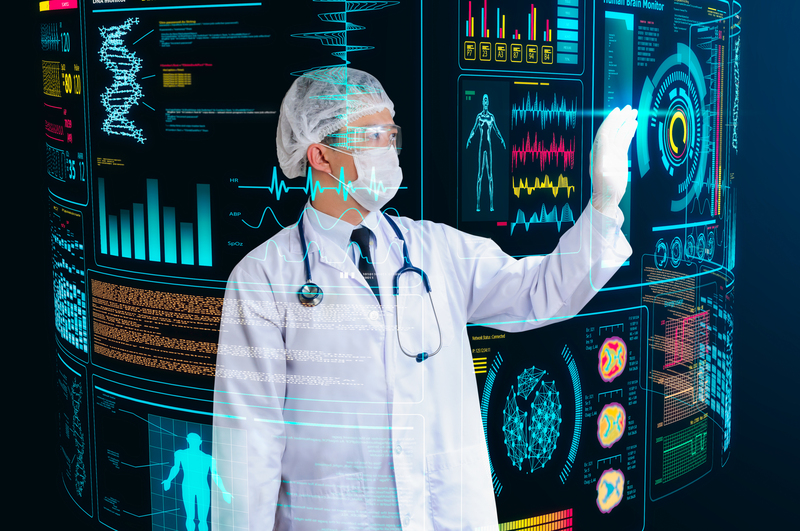 Since, critical patient information requires secure managing options; smart devices and software solutions for patient care deliver speedy services. Thin manager ready thin clients are among such cost-effective solutions that are playing a key role in making the healthcare IT environment more efficient. Why Thin Clients are popular? Thin clients are compact,sleek and user-friendly.Thin clients in health information technology for everyday operations give highest level of flexibility and efficiency than traditional systems. Since, healthcare deals with huge amount of sensitive information each day, thin clients play a major role in lowering as well improving the quality of patient care. ThinManager Ready thin clients are playing a major role in producing best patient care with highly secure and reliable options specifically for healthcare industry. With no additional parts or fans, thin clients perform quietly in the environment delivering greater mobility to end-users. Threat to critical health information and sensitive patient’s data is inevitable. With wide accessibility and availability of information, health IT systems needs to be replaced or upgraded with secured solutions. Thin client not only guarantees protection for information but it allows a more productive work environment. ThinManager ready thin clients are easy to deploy and require very less maintenance; thin client have a long-product life cycle and are ready for instant use. Healthcare companies and other organizations associated with it are subject to HIPAA (health insurance portability and accountability act) which is a privacy rule enforced to protect the privacy of information. Thin clients have in-built features to keep up highest level of security and aid with all sorts of healthcare protection regulations. It’s always a hassle if the work environment suffers downtime, ThinManager ready thin clients are designed in a way to deliver maximum production with minimal chances for downtime for different level of user requirement and works with different operating systems as well. You can choose ThinManager ready thin client solutions to upgrade and expand their use for future purposes. Thin client computing allow users to have enhanced approach on accessing information from different locations. Thin clients allow modification and customization with browsers, task manager, control panels and much more. Appropriate management software can grant access to to multiple users, without much of training involved users is able to immediately start working. Arista was formed in 1994, with offices in China, India and Taiwan; Arista is a manufacturer of Industrial Panel PCs, Industrial Monitors, Box PCs & Fanless Embedded Computers, Rack Mount Computers, ACP Thin Manager Ready Thin Clients, Embedded CPU Boards and Video Extender/Switches. Over the years Arista has served customers with reliability, Integrity and Trust. Arista Corporation is proud to have a talented team of engineers who incorporate expert knowledge, research and efforts to deliver the best. Our dedicated sales team is available to help customers with information, quote and technical support at all times. Moreover, Arista offers complete range of thin client solutions with an option to customize the intuitive interface and technology-driven functionalities. To know more about our thin client solution visit here or feel free to email our team at sales@goarista.com. You can also reach us at 1.877.827.4782 Monday through Friday between 8:00am to 5:00pm.